Extract it to the configuration file(s) location. Use the -force-d3d9 command line argument. 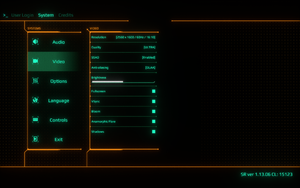 This ini disables graphical settings which aren't in the in-game options menu. 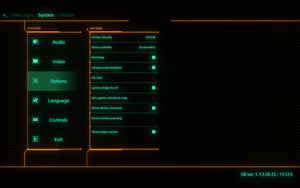 Hold Ctrl while starting the game to reveal another launcher. 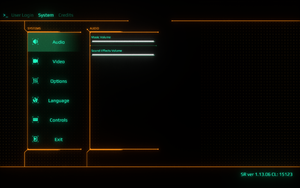 In this launcher select which monitor the game should use. 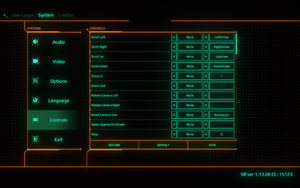 One must hold down CTRL while starting game to select which display to render on. Otherwise it will render on display 1. Cannot exceed over 100 FPS. XInput only. Not all controller buttons work. Not all controller buttons are remappable. 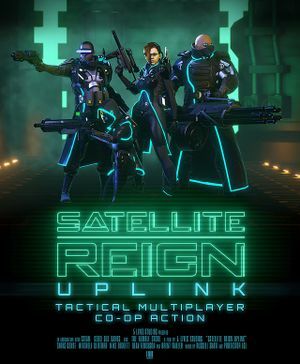 See Helix Mod: Satellite Reign. A list of known issues, as well as tips on best practices for reporting them can be found in the Steam Community Discussions for the game. Failed connecting to 'server': Even if your friend's server shows up under the Friends tab, you will still fail to connect if you are in different regions. 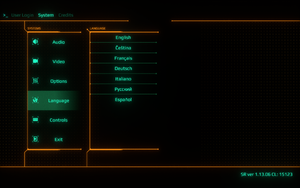 The game uses the Unity Relay Servers in NA, EU, Asia and cross-region games are not possible. Frame rate seems insanely weird. Even with the lowest of low settings, it keeps jumping between 60-100 for no apparent reason and never goes beyond 100 FPS. This page was last edited on 15 April 2019, at 21:52.